To all my readers who love my vegan Costco updates: Here’s a new one for you. I’ve been snapping pictures left and right and buying these new products and testing them for you. Whenever I’m photographing in Costco, I turn to my husband and say, oh this is for my blog. His response: Yeah, I know. He’s used to me snapping pics of my food! Caveat: I don’t know if your local Costco sells the same exact items, so if you don’t see these in your store, request them. Brendan and I have made veggie Thai green curry and added these noodles. They’re delish, and packed with 8 grams of protein per serving. Like the packaging says, the noodles are done in 4 minutes. Definitely a must grab! I’m always looking for simple snacks that I can toss in my purse and eat when I’m on the go. 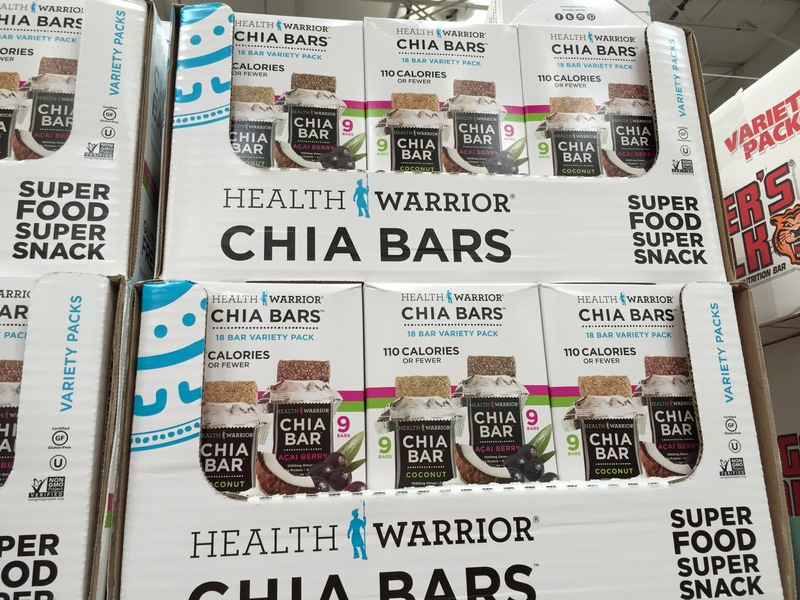 These chia bars come in acai berry and coconut flavors. Both are good and low in sugar. 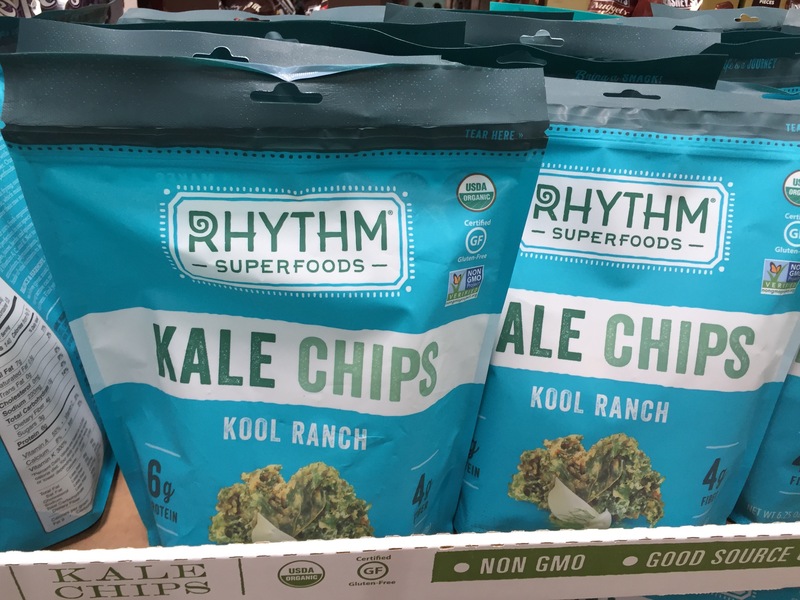 I’m a kale chip fan, but usually they are so pricey compared to what you actually get in the bag. This giant bag was about $8 and I love the Kool Ranch flavor. As a kid, I used to love cool ranch Doritos, but this is like a way healthier Dorito. Brendan and I have what we call “lazy Chinese night.” When we’re both beat from work, all we do is toss some brown rice in our rice cooker, bust out the Gardein Chinese frozen goods, toss in some veggies, and call it dinner. It’s better than takeout! 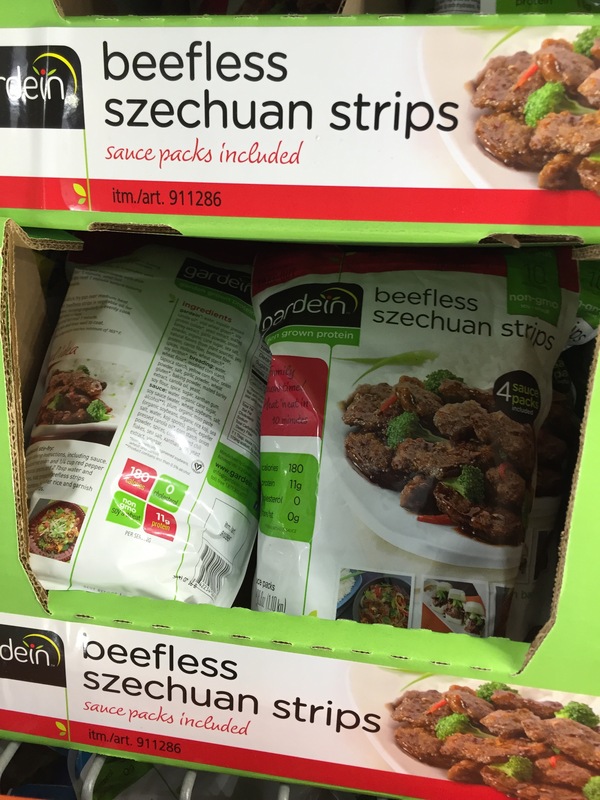 These beefless Szechuan strips are absolutely delicious and the giant bag lasts at least three meals for us. I’m seriously obsessed with these chips. 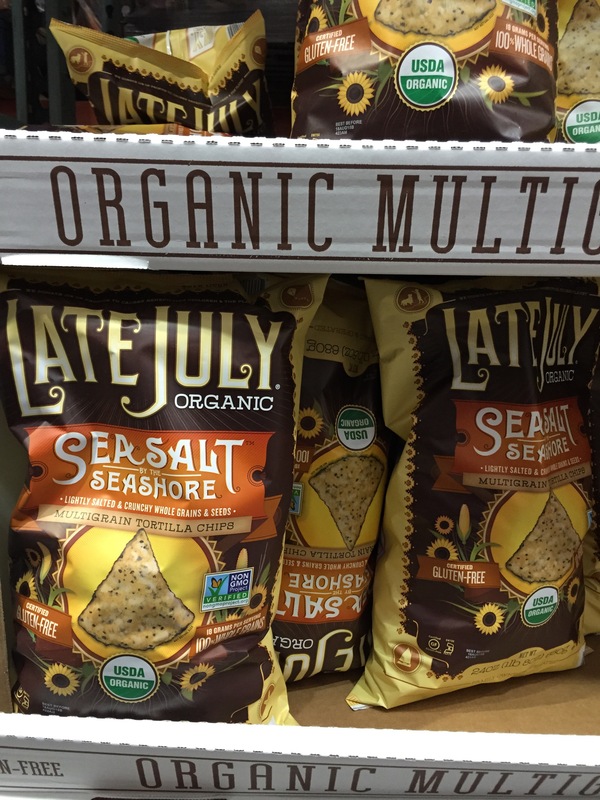 I love that they are non-GMO and organic, but also have a satisfying crunch and loaded with chia and flax seeds. I haven’t seen them when I last went to Costco, so let’s hope that they bring this guy back. I rarely eat white pasta any more in favor of quinoa or brown rice-based pastas for extra protein and fiber. 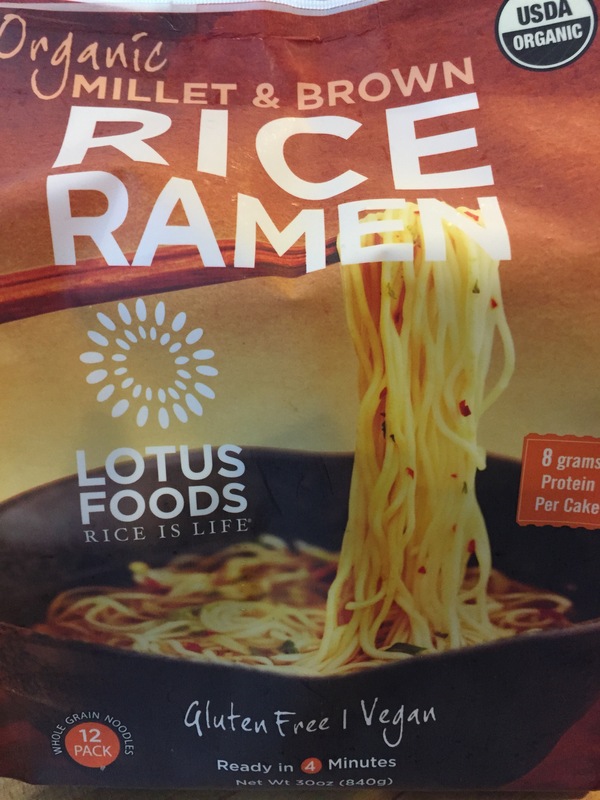 When I spotted this red lentil pasta, I quickly snagged it. One serving has a whopping 21 grams of protein and the only ingredient listed is red lentils. And it tastes great! There’s no beany flavor. This is a must get if you see it! As I mentioned, I love having snacks that I can stash in my purse so I don’t turn into a hangry monster when I’m stuck in traffic. 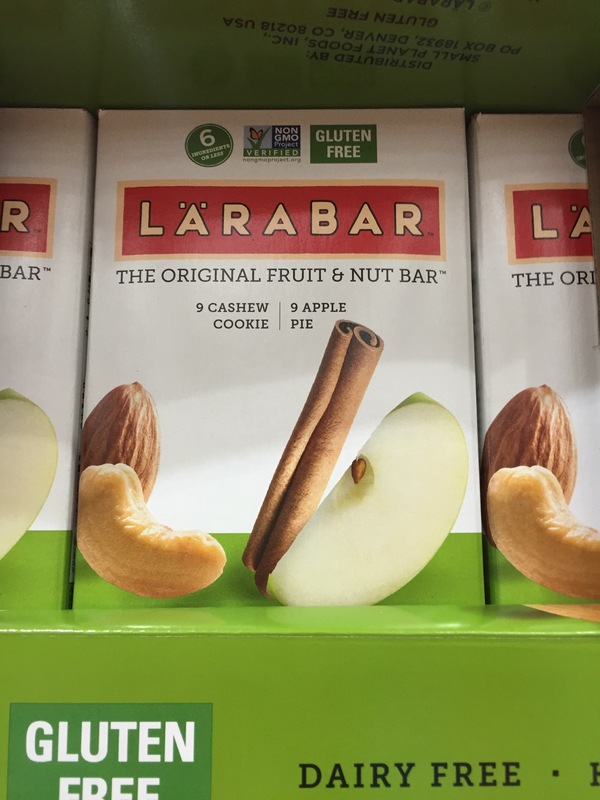 I love that these bars have simple ingredients like dates, cashews, cinnamon, and apples. Flavorful and simple—just the way I like it! Have you spotted any great new vegan items at Costco that I haven’t seen? Tell me in the comments. I’d love to know what to look out for in the future! 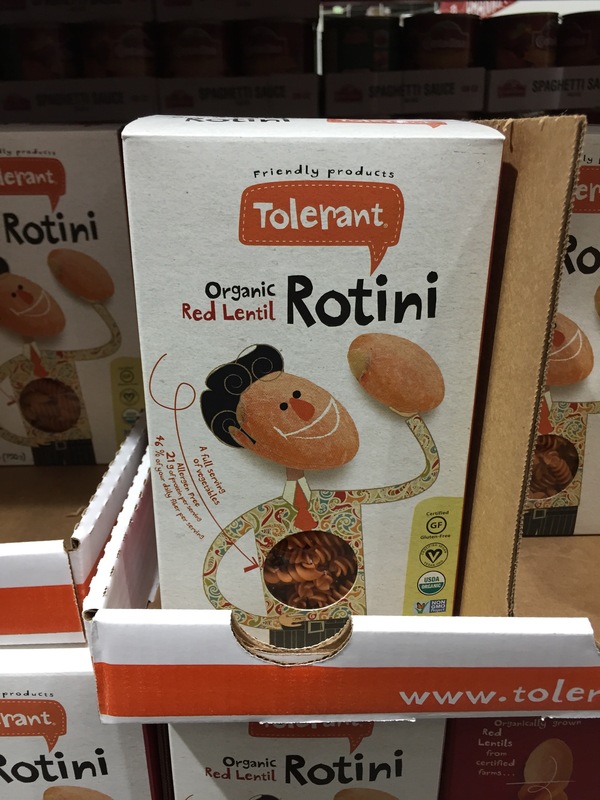 I’m not vegan but I do enjoy seeing what you find—I’m definitely going to look for the red lentil rotini and the snack bars as I love any snack bar that sounds delish and can pack in my bag! Thanks for the updates. My fave thing at Costco is the dark chocolate thins with pumpkin seeds and they are awesome as well as the jar of dark chocolate with tart cherries and almonds–totally awesome! Happy to help! Your favorites sound delish. Anything dark chocolate is my favorite. The Gogo Red & White Quinoa Macaroni – cooks up al dente (7 min. ), delicious! I started buying that brand. It’s really good and a good source of protein too! I bought the Millet Brown Rice last night. I was wondering if they were any good. Thanks. I picked that over the Lentil pasta — too much doubt in taste there. You forgot the great pistachios they sell too. I love those millet & brown rice ramen noodles. Enjoy!